Lincoln. University of Nebraska Press. 2017. 177 pages. Peek into the kaleidoscope spin of one family’s sense of identity. Denise Low’s The Turtle’s Beating Heart invites you to watch as she looks into the complexities and moving patterns of diaspora, social pressure, and cultural shift. The author is fearless. This kind of exploration can create family strains. With indigenous identities under microscopic examination, exploration is risky. 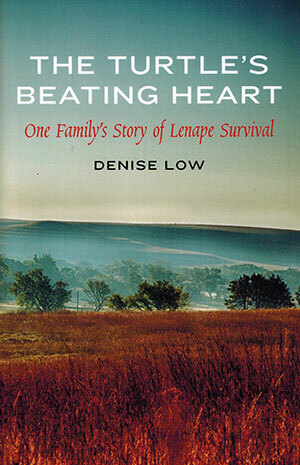 Low brings her eye to bear on the less understood experience of her Lenape family. She takes a long and loving look. “Discrimination against Native people has been so fierce that many people, like my family, suppressed their non-European ancestry as completely as possible,” says Low. Native people have been struggling for the right to narrate our own varied stories since contact. 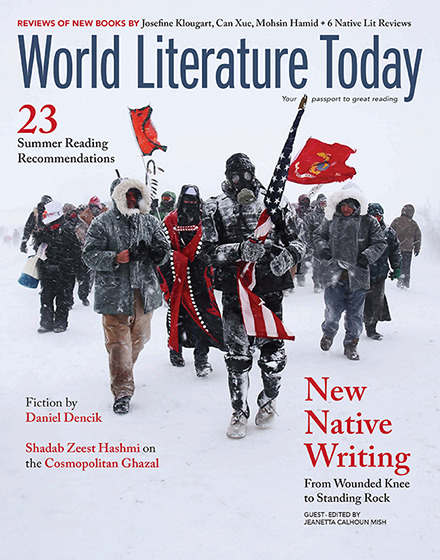 From one nation to another, from history-book erasures to overdramatizations, from Native story to movie-land fantasy, these lives are described honestly or faked or misunderstood or jazzed up. These stories have tended to move into private family realms, handed on over kitchen tables, or even not spoken aloud at all. Low shows us what she has been told and what she can find with little or no varnish and a clear acknowledgment of the potential unreliability of family oral history. In an environment where identities are questioned from both within the general, pan-Indigenous community and from without based on looks or names or people’s own self-claimed ownership of what an indigenous identity should be, this kind of writing is essential. Low alludes to the responsibility of being different, of living an often misunderstood truth. “Once, when I was a young woman, a Native elder told me that younger people are always watching me, to see how to behave.” The lessons she brings forward are profound. They preserve the memory of her ancestors, both recent and remote, and feed the generations now growing and to come. This book is a deep and important gift from a master wordcrafter. It’s not easy to speak from a trained silence, but as her grandparents and parents did, Denise Low is doing what is needed to keep the turtle’s heart beating.